1 3/4″ wide with solid brass nickel-plated buckle. The tongue and buckle end is one continuous piece of leather sewn to the center of the belt. Black belts are supplied with solid brass nickel plated buckles. 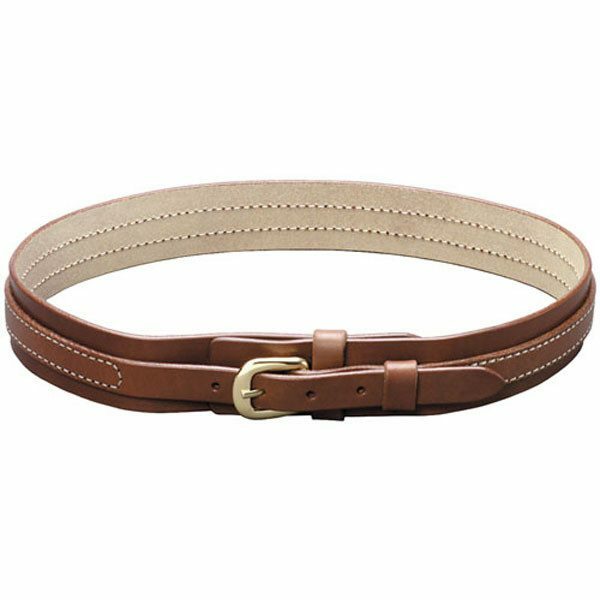 Cocoa belts are supplied with solid brass buckles. DISCONTINUED-LIMITED TO STOCK ON HAND. Size 44 and 42 in Cocoa are sold out.